Fairhaven is a slight twist on simple shaker design. My creating delicate v grooves in the corners, this door exudes more of a European flair. 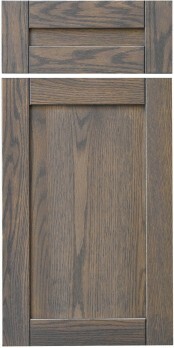 Complimented with large stainless bar style pulls, this door is truly a magnificent look.